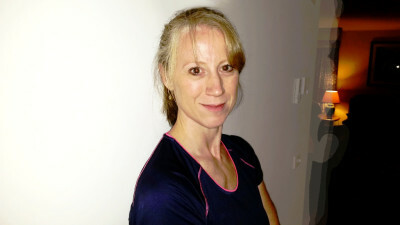 Hi, I'm Abi, welcome to AYB Personal Training and Running Squad! You have found your way here because you have decided to take a step on your health and fitness journey, whether that is because you are just starting out and are looking for something that appeals to you, maybe because you are already fit and want to challenge yourself further, or perhaps you feel you need some guidance and motivation. Wherever you are in your health and fitness journey, I'm here to help you realise your goals and achieve your best! My aim is to provide the support and motivation you need, because let's face it, sometimes it's just hard to put on those runners. We all have those moments in our day where our energy has flagged because we're trying to do a million things, and we haven't slept well, and we're stressed from work, and the list goes on. And often you are the last person on your priority list. So, I'm here to help you be fit, eat healthy and have more energy so that you aren't stressing about your own health and fitness too. Because the fitter and healthier and more energy you have, the better equipped you are to give 100% not only to yourself, but to those you love too! It took me the better part of a year to decide on a name for my business. I was operating under my own name until I found just the right fit. I thought about names that were strong and motivational and physical. Names in latin, names I could attach great imagery to. Names that indicated strength or flexibility or greatness. Names that suggested a new you. But none of them felt quite right. And after months and months of scribbling names in notebooks and sketching images it occured to me I was making it too difficult. So I took a step back and asked myself WHY. Why am I doing this? What is special about this business? What values do I want it to represent? And the answer is simple. your health and fitness discovery. It's personal to you, and it's personal to me too. the very best you can. But it also plays on my name Abi, often spelt with a Y. And that's the connection between you Achieving Your Best (AYB) and me, your personal trainer (ABY) motivating you to achieve your best. and I wouldn't change a thing. My only wish is that I had found my niche a bit earlier in life. I spent over 20 years in the corporate world, 17 of which where I was completely absorbed by that life. 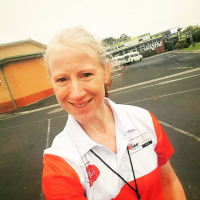 Except for my husband I ate, slept and breathed that life, and it was only when my career took a change five years ago that I realised it was time to do what I now encourage others to do, and reassess what I was doing and where I was going. Did I really want to work in a 15 hour a day job and work weekends? For very little quality of life in return. It wasn't a bombshell moment. I took the time to think really hard about what I could offer outside of the corporate world. Don't get me wrong, I loved that life...most of the time. I learnt a lot in that life that has helped me in this one. Helped me to be a better trainer, helped me to connect with and help people, helped me to understand what motivates people and work with them in a way that inspires and encourages them. Throughout childhood I was involved in any number of activities. Swimming squad, classical ballet, calisthenics, olympic gymnastics. I was convinced I was going to be the next Nadia Comaneci or Margot Fonteyn. Then adolescence kicked in and I grew to be at least a foot taller than all my teachers so there went those dreams in a teenage growth spurt. I moved on to hockey in high school (there's a certain irony there I know), then aerobics, yoga and weight training. Then ten years ago I discovered running. Throughout childhood I would do anything to avoid running, or even walking fast, so it came as a complete shock to me how much I took to it. I became a little obsessed with it. And when my career change hit me it was running that helped me decide. If I could go from gasping for air running to the end of the block to running half marathons surely I could help others achieve their health and fitness goals too. So I went back to study, another thing I love doing with a passion. That was five years ago and I have never looked back. I am now a qualified personal trainer, level 2 advanced running coach, qualified kids athletics coach, Pilates instructor and Metafit instructor. I will admit running is my passion but I also love strength training. I don't subscribe to the 'one or the other' is better theory. 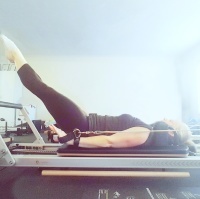 Both cardio and strength training have their place and I am a firm believer that in some instances one must necessarily go hand-in-hand with the other (ie, to be a strong runner you must strength train to avoid injury and perfom well). And more importantly, you, as the client, and what you prefer is what helps dictate how I train you. Because if you enjoy what you do you are more likely to continue doing it. So just as I realised my passion for running all those years ago, it's now my turn to help you find your passion for health and fitness too. You may wonder why it is important to me that you find your passion for health and fitness. There's lots of reasons. But I'll try and keep it as short as possible. When I first changed career I actually became depressed. I was suffering from PTSD and I was determined to help myself overcome those feelings, on days when I was overwhelmed with emotion, by exercising as I had read that it was good to help combat depression. So I started running even more. And whenever I felt like I needed to get away from my own self doubt I laced up my running shoes and headed out the door, rain, hail or shine. To this day I still find running the trail near home a hugely meditative and energising experience. And it was during those runs that I finally 'discovered' the person I want to be. I want to be honest in all facets of my life. I want to treat people with fairness and compassion. And I want to remove more negativity in order to focus on positive outcomes. However, there is also an objective and more technical side to me that loves the intricacies of the human body too. How it works and how the muscular and skeletal systems work together to create this wonderful thing. How nutrition can impact our wellbeing. How much we need to have them work together. Before I became a personal trainer I would find the huge amount of information available to be, quite frankly, a bit confusing and a bit overwhelming. So that's my job now, to take some of the stress for you out of trying to connect the dots, and make it easier for you so you can get on with the job of exercising and eating healthy. And lastly, if we want our world to be a healthier place I believe it's important to teach the next generation to be fit and healthy too and what better way for that to happen than for them to see you being fit and healthy and learning that it is simply a part of everyday life, not something you do as a special activity.